You’ve probably heard a lot about Salesforce Einstein during AI for Good week! If not, here’s a quick recap. 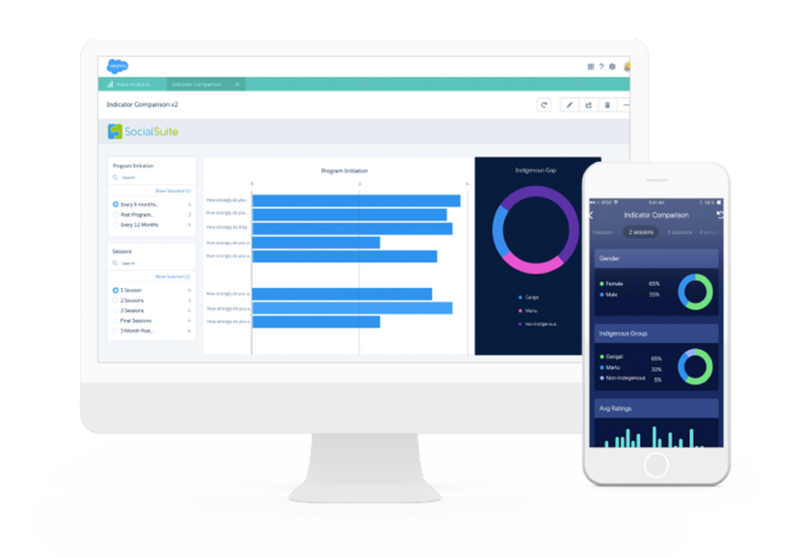 Salesforce Einstein is the latest technology from Salesforce that incorporates AI features and capabilities which enables users to make data-driven decisions whilst saving huge amounts of time and money. It’s super smart and is constantly learning more about your business model based on how your organisation uses Salesforce, giving you more time to focus on what’s really important – your mission. 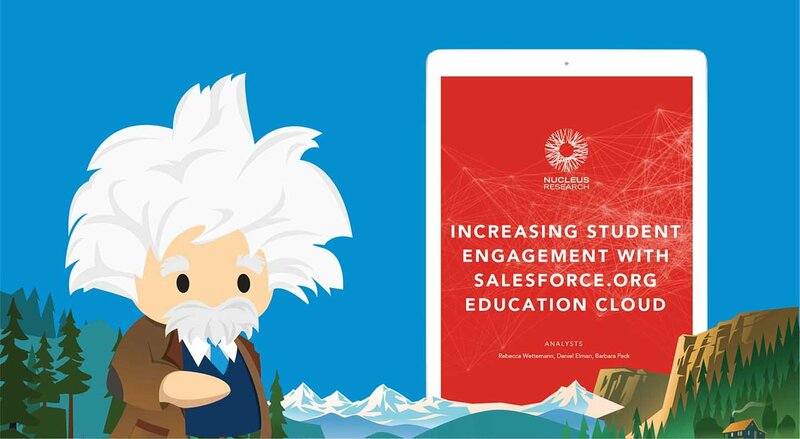 There are many layers to Salesforce Einstein but we are going to focus on Einstein Analytics (formerly Wave) in this blog and hopefully give you a good understanding of how it can benefit your nonprofit. Before we dig in, you might be wondering about the difference between Einstein Analytics and the Reports and Dashboards that come out-of-the-box with the Nonprofit Success Pack (NPSP). The reports and dashboards in NPSP have been built especially for nonprofit organisations and, if you’re already a user, I’m sure you will agree that the insights these reports and dashboards provide are invaluable. But now imagine if you could take those reports and dashboards one step further and get even more value from your data! This is exactly what Einstein Analytics was created to do – it gives nonprofits the power to dig further into their data to discover trends, predict outcomes, and get a true understanding of their impact. Understanding exactly what programs are delivering results and which of those are not, is absolutely critical to your organisation and its stakeholders. Einstein Analytics allows users to clearly measure the impact of each program with real-time insights into the who’s, what’s, where’s and how’s! Understanding this information is not just vital for knowing where to invest funds next or what programs might need more attention, it’s also a great way to showcase the impact your organisation is having to your constituents. In fact, 90% of donors want to know how their donations are impacting the causes they support, according to the Connected Nonprofit Report. Giving more insights back to the people and organisations that support your mission is key to securing future funding. Program reporting is essential if you receive grants or funding from government bodies – who quite often require very comprehensive detail around impact and results. Einstein makes all of this easy, you can present and report real-time insights with confidence and have the ability to answer complicated queries with just one or two clicks. The platform is built around the way you ask questions, allowing you to easily navigate and drill-down into datasets whether you’re in the boardroom or on the move! Unlike standard reports, data is not static. Instead, chart and graphs are beautifully interactive – turning complex data into easy-to-digest information. Say goodbye to spending hours agonising over painful spreadsheets the night before your quarterly review with the board. Hurrah! Gifts, grants, and donations are the livelihood of your nonprofit, so wouldn’t it be useful to understand more about your fundraising targets that would allow you to identify areas where you could improve? Fundraising is traditionally difficult to forecast. But with Einstein Analytics, your fundraising team can now review your targets against the goals for the year. Gaps and pitfalls can easily be discovered before it’s too late – users can identify whether there’s a seasonal challenge by comparing performance to previous years or maybe a regional issue that needs marketing attention. Development teams can get smart with gap-closing initiatives once they are armed with the right information. Understanding fundraising performance is also important for your program management team. The performance will dictate which programs will get investment or if new ones can be started. Einstein will also allow program managers to get insights into funds raised, pipeline value and the probability of those funds being realised. Giving them the data they need to make a difference. Resources are generally stretched within the marketing department at a nonprofit so it is vital that you make sure every effort is being measured and delivering a return. Nonprofit marketers don’t just measure to report, they measure so they can constantly improve. With Einstein Analytics, your marketing team can easily examine data and get real-time insights into campaign performance – and quickly implement changes if something isn’t working as well as it should be. Marketing and fundraising teams can become more aligned by having easy access to these insights, users can even post charts and graphs to Chatter or log tasks associated with records directly from the platform, taking team collaboration to a whole new level. Ultimately, Einstein Analytics offers insights the whole organisation can benefit from but without the complexities of traditional business intelligence platforms. The best thing is that there is no need for data analysts or IT intervention – your team can be completely self-sufficient. Users can even import data from multiple sources, including non-Salesforce databases or even spreadsheets so you can get a full 360 view of your nonprofit’s performance – all in the one place, from any device. Want to learn more? Download our AI for Good e-book to learn more about what AI means for nonprofits and how your constituents and stakeholders can benefit from it. 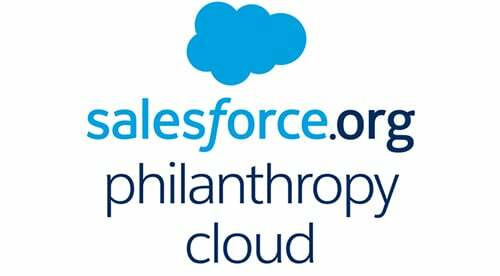 Did you know that Salesforce.org offers product discounts and donation program for nonprofit and higher ed institutions! ?